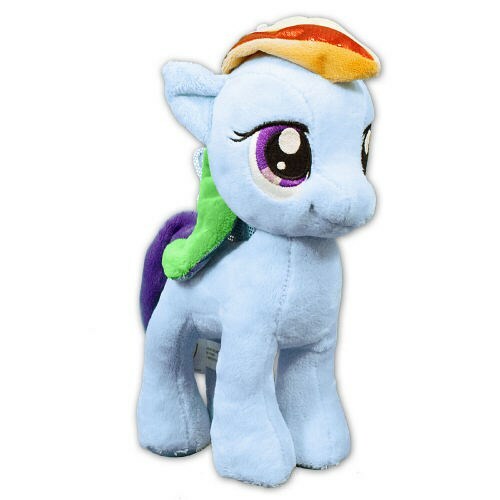 Rainbow Dash just loves to fly fast! She lives for adventure and when danger is brewing, she always comes through for friends, proving time and time again, that she is a true hero. Rainbow Dash is from the Aurora My Little Pony Collection and measures about 10" tall. Free Gift Wrapping and a Free Gift Card are included to create a thoughtful presentation. Additional Details Shop Plush Animals for Her and surprise her for her birthday or any gift giving occasion.